When you’re looking for the best face moisturizer for your skin type, you’re often met with a lot of choices. The market is flooded with skin care brands that promise to make you look younger, more radiant, and more awake. Yet, it’s hard to tell which products are going to work for your skin. Which moisturizer will cause skin irritation? Which will give you the healthy-looking skin you deserve? We did the heavy lifting for you and pitted 5 Sebamed face creams against each other to see how they stack up. We recommend keeping this list handy while browsing our site for the latest skin care staples. If you’re looking for a face moisturizer that won’t aggravate skin conditions, our Moisturizing Face Cream is for you. Its light texture and easy application let you wear it all day long, alone or underneath your makeup. Moisturizing Face Cream also strengthens your skin barrier with each use, functioning both as an eczema treatment and a psoriasis treatment. Our mild formula lets you replace your current eczema cream, giving sensitive skin the love it needs. This face cream is perfect for those of us with dry skin that’s sensitive to fragrance. Hydrating Face Cream deeply moisturizes your skin, healing dryness, itching, and rough patches. It also contains no trace of scents, perfumes, or colognes. A win-win for sensitive skin! 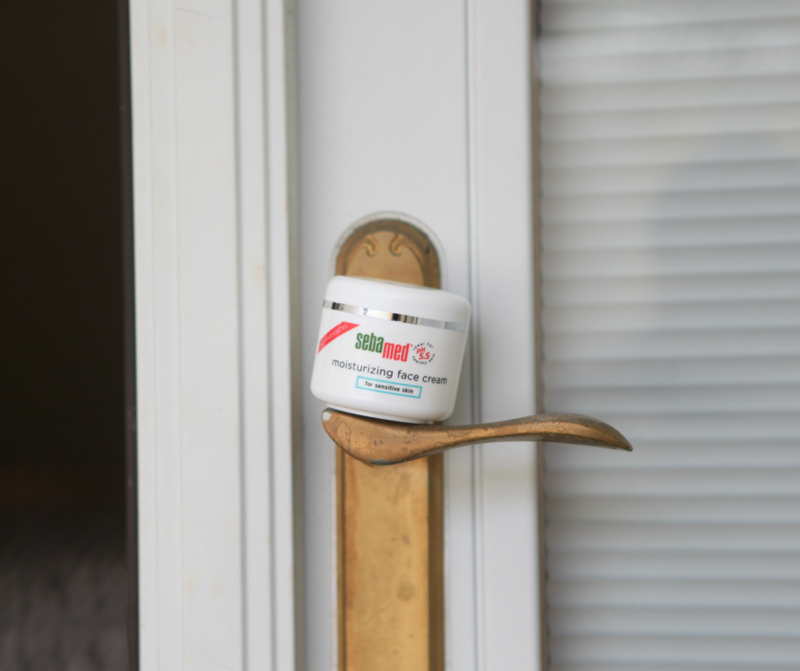 Our Q10 Protection Cream has a thicker formula that helps your skin look and feel younger. This anti aging must-have contains co-enzyme, which regulates your skin’s oxygen metabolism. Daily use allows for the reduced appearance of visible fine lines and wrinkles, puffy skin, and other signs of aging. Next on the list of Sebamed face creams is our Extreme Dry Skin Relief Face Cream. This lotion & moisturizer contains urea, a natural moisturizer that heals symptoms of eczema, psoriasis, and xerosis. It’s botanically based and heals your skin naturally. Plus, it encourages collagen production, providing your skin with a radiant glow. If you have oily skin, it may surprise you that you still need to moisturize. Enter our Visio Hydrating Cream. This moisturizer balances your skin’s oil production and won’t over-hydrate your skin. With its hyaluron complex, Visio Hydrating Cream can even replace your current anti aging cream. No matter the type of face cream or other skin care you’re looking for, Sebamed has you covered. Our wide range of products works for all skin types, from dry and sensitive to normal and healthy. Each mild formula is pH-balanced to restore vitality and strengthen your skin barrier. Check out our complete product lineup here.